Endangered birds bred at ZSL London Zoo travelled to Spain this week - to be released into the wild as part of an international conservation project to reintroduce a species that once spanned Europe. Four northern bald ibis (Geronticus eremita), which hatched last year at ZSL London Zoo, travelled to a holding aviary in Jerez Zoo on Wednesday 20 February, ahead of a planned release in Southern Spain. The juvenile ibis, nicknamed Iris, Indigo, Igor and Ivan by ZSL keepers, will join birds bred at other zoos across Europe, before being gradually introduced to life in the wild. As well as forming bonds with the group, they will be encouraged to fend for themselves under the watchful eye of conservation experts before their release into an area of ecological significance in Andalucia, populated with vast grasslands, arable fields, and water sources – ideal habitats for the unique birds. ZSL London Zoo bird keeper Paul Atkin said: “I’ve been working with the breeding population of these remarkable birds at ZSL London Zoo for nearly twenty years, so it’s a real joy to be working alongside zoos across Europe as part of their reintroduction in Spain. “The birds will be released into the huge agricultural area of La Janda, which has been the hub of European conservation efforts to reintroduce the species since the project’s inception in 2004. Conservationists estimate that only 600 northern bald ibis remain in the wild after the species disappeared from Europe almost 300 years ago. The distinctive looking birds, with a bare red face, neck and throat, have been reduced to one small area in Morocco, where they are threatened by pesticides, habitat loss and hunting for their chicks and eggs. Ranked number 8 on ZSL’s EDGE of Existence list for birds, which puts unique and threatened species at the forefront of conservation action, northern bald ibis are also part of the European Endangered Species Programme (EEP) preserving a genetically diverse population of the species in zoos. 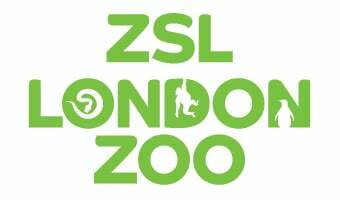 ZSL London Zoo is working to conserve northern bald ibis and other Endangered wildlife from across the globe.